Vintage German Advent Calendar design. Vintage German Advent Calendar design. Romantic White Christmas. Angels with presents and christmas tree. 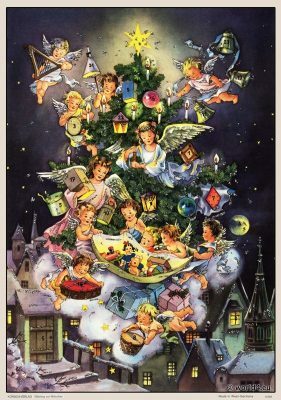 Beautiful magic advents calendar from Germany. 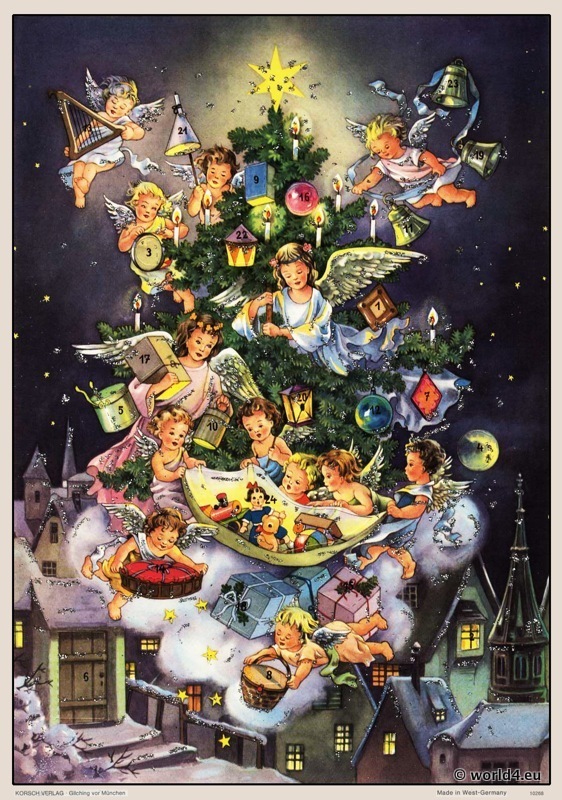 Angels flying around a festively decorated Christmas tree full of splendid gifts. In the background a wintery, snowy old city. The sky full of stars, sparkling in a freezing winter night. Previous PostA Merry christmas postcard. Santa Claus in snowy landscape 1920s. Next PostAdvent calendar, 1960s. Vintage German Christmas.